If you’ve been reading this blog for any length of time, you’ll know by now that I like my carbs. Biscuits are, in my opinion, one of the best things to make as a quick and easy side dish for a meal. They’re fast, they’re easy, and most importantly, they taste divine. Flaky, buttery, warm from the oven biscuits. Is there anything better? I don’t really think so. Not the healthiest side, I suppose, but as long as you’re not making them every day, I don’t see a problem! Obviously. What is this, my fifth biscuit recipe? They’re just so adaptable to what you have on hand, that I really don’t think I’ll be stopping at five recipes. You’ve been warned. They’ll keep coming. 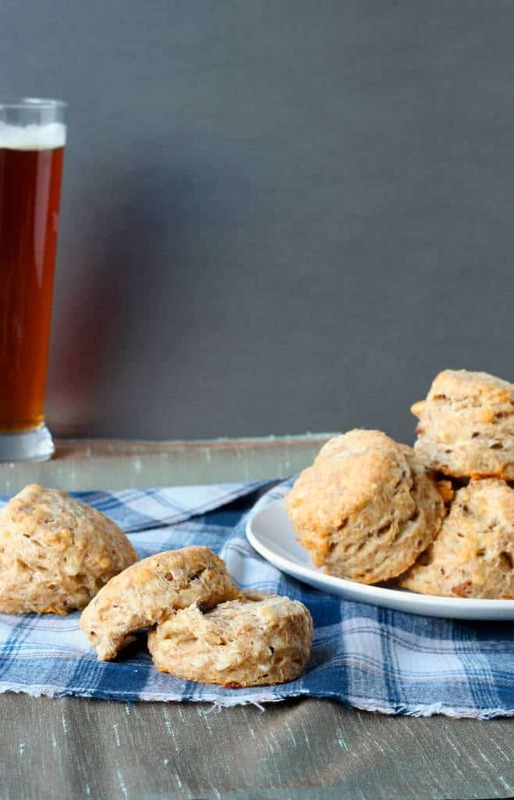 These cheddar bacon beer biscuits are a bit heartier than my other recipes. They’re fully whole wheat (so healthier – that negates the butter right?! ), although you could easily change them to part or fully all-purpose flour if you prefer. But the whole wheat flour gives them a denser texture and makes them a bit more filling; which is what I was going for as we had them with this carrot soup, which was a fairly light meal on its own. Then I filled them with sharp cheddar and bacon, because why not. And beer. Now, I don’t really know how much flavour you get from the beer. Not a whole lot I don’t think, especially with cheddar and bacon in there. But you get a lot of leavening from it, so I cut back on the baking powder in these. I used a Bavarian lager, because that’s what was in the fridge, but I actually really dislike beer and don’t drink it at all, so I have absolutely no clue if the type of beer will change the flavour. I imagine anything would be good, it would still give the leavening action, and possibly change the flavour a bit? I don’t know. If anyone has any insight into that, feel free to let me know! Regardless, these were delicious and I will definitely be making them again. They were the perfect accompaniment to a bowl of soup for supper! Note: This recipe is easily doubled if you want. I used whole wheat flour, but you could certainly use all or part all-purpose if you prefer. I wanted them to be a bit heartier, so used whole wheat. Also, frozen butter IS better as they get flakier when the butter is frozen, but I generally do not plan far enough ahead to stick the butter in the freezer so then I make them with butter that is cold from the fridge. I grate it in quickly and they are still amazing that way so don’t decide not to make them because the butter isn’t frozen! Preheat the oven to 450 degrees F. Line baking sheet with parchment paper or a silpat liner. In a large bowl, mix together the flour, salt, baking soda and baking powder until well combined. Grate in the frozen butter (or cut it in with a pastry cutter until the mixture resembles coarse crumbs, I find grating faster and easier) and mix it together gently. Stir in the bacon and the cheddar cheese. Pour in the beer and stir until the dough comes together in a ball. Move the dough to a lightly floured countertop. With lightly floured hands, shape the dough into a rough rectangle, about one inch thick. Lift one end up and fold it in half. Turn the dough a quarter turn and press out into a one inch thick rectangle again. Repeat this folding and turning process 5-6 times. Add a bit more flour underneath and on your hands if it gets too sticky. Press out one last time into a one inch thick rectangle. Cut out the biscuits with a 2.5 inch wide circle biscuit cutter, making sure to cut straight down and not twist at all when you’re cutting, as this will seal the edges and they won’t rise well in the oven. Place the biscuits on the prepared baking sheet and repeat the process with the scraps. If you don’t have a biscuit cutter, you can just cut them in squares with a sharp knife, pressing straight down. Bake for 15-20 minutes, or until risen and lightly browned on top. Serve warm. Source: Adapted from my buttermilk biscuits . I am a carb, biscuit lovin' fiend. . so I love these biscuits!! And beer and cheddar?! oh my gawd, can't wait to try these, pinned!!! Thanks Alice! Biscuits are really just the best aren't they?! Thanks for stopping by! This biscuits look SO gorgeous. . Packed with all amazing ingredients. . Love it! ! Thanks Arpita! Can't go wrong with cheese and bacon right?! I am totally into my carbs too (as you probably know!). There's nothing better than fresh biscuits with any meal! I completely agree Ashley! Thanks! Girl you got like almost all of my favorite things in these biscuits!! So making these for hubby! Oh my, yes, carbs are my weakness but so so worth it! These biscuits look awesome! Love the beer, bacon and cheese in here - I would have a hard time not wanting to eat the whole batch - yum! Thanks Kelly! Definitely my weakness too, but yes, worth it! Awesome! I never thought of using beer with biscuits, I absolutely have to try it! I used beer only to cook chicken and pork knuckle before. And I've never used it to cook chicken! 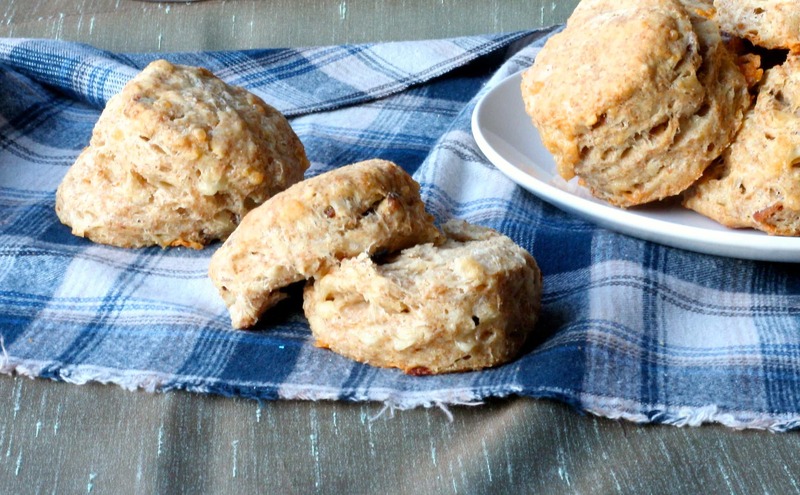 It made for some sky-high, tasty biscuits, so definitely give it a try! Thanks Michela! Oh yes, friend...you and I have the carb thing in common! These biscuits look divine and I love the photography! Thanks so much Annie - the photography part is definitely a bit hit and miss for me, but I'm trying! :) And yes, I love my carbs, glad I'm not the only one! Perfect! 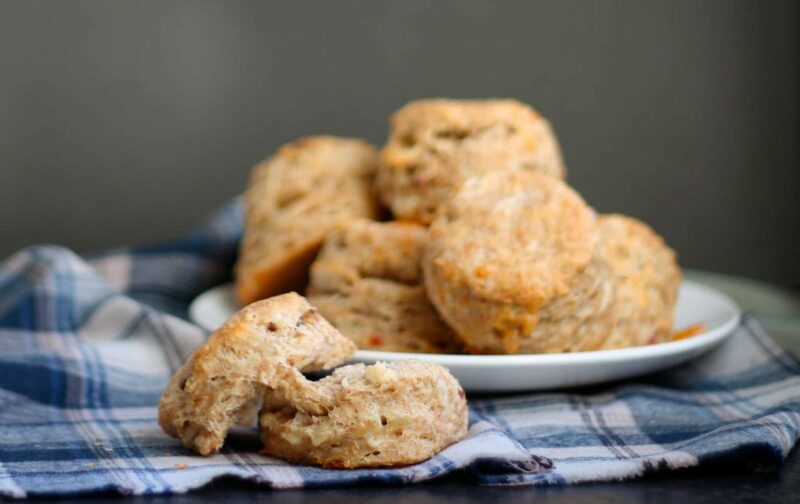 I was already planning on taking your regular biscuit recipe and adding cheddar and bacon to it, but now there's no tweaking needed! Haha, thanks Christina! Hope you like them! Now you are tempting me to try biscuits Stacey! they look really good! Yesterday I saw a biscuit cookbook and I was amazed. I had no idea there were so many different types of biscuits you could make. And they all looked so yummy! This recipe sounds amazing because 1. bacon makes any recipe better and 2. so does beer :) Pinning! Bring on the carbs! Haha, yep, bacon does make anything better! Thanks Erin, and thanks for the pin! YESSSSS. All the carbs, always! Love these! They looks so flaky and fluffy, and the combo of flavors here is perfect! These look fab, Stacey! I still want to make those breakfast biscuits of yours and swear I will get around to it one of these days. S.O. will love them. Thanks Sarah! These were surprisingly flaky and fluffy, what with being 100% whole wheat and all. Nice when stuff turns out better than expected! These biscuits look incredible, Stacey! I've had a cheddar kind before, but never one flavored with bacon and beer. What a fun carb treat! And my husband would definitely love this, too.